Up until recently I have always toyed with the idea of creating a company and becoming an entrepreneur, but wasn’t sure where to start. I wasn’t certain how to build a business or where to get feedback and find answers to my questions. After all, most people I know are not trying to start anything new, but instead they’re content with working their regular 9-5. I put this list together with what helped me, to help others get started and more importantly, gain feedback and learn from other experiences. I am sure you have heard this a thousand times, social networking is a great way to interact and find people to help you on your journey. If you are on Twitter, Facebook, or Google+ and are finding yourself not understanding why you are not reaping the benefits, look at how you are interacting. Are you just posting questions that only your followers can see? Are you adding hashtags hoping someone sees you in a search for #entrepreneur? If so, you might be doing it wrong. Try this instead. Get out there and ask someone a direct question. Social networks are not only meant to be a place for you to say what comes to your mind and hope someone listens. 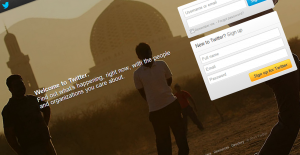 Social networks are meant to be, well, social. When trying to start Pixel Precise LLC I was crippled by the idea of launching and worrying about copyrights, legal, how to claim a company with the state, etc. So I took a leap of faith and asked Jay Adelson, Ex-CEO of Digg.com and host of podcast AskJay I was watching at the time, a direct question on twitter. @seandfeeney There are trademark searches at 1.usa.gov/qGZ2N, which is the main conflict to avoid. Podcasts are great, you can learn a lot from watching 1 a day or even just a few a week. They are designed to fit busy life styles (< 30min per episode), you can load them onto your phone or tablet, and they are often to-the-point without all of the fluff that comes from TV programming. Even if a show isn’t dedicated to business you may find some value in them. The podcast FilmRiot, is like this; I am not a film guy, but I learn a lot about what sort of hard-work goes into podcast production by watching this show. It has the added benefit of being very entertaining as well. Who knows, maybe one of these days I will need to create a video for my company and will be able to utilize these great tips! If you are looking for something that is a little more to the topic of business, I would try TED or AskJay. Ask Jay is no longer in production, but there are still ~70 episodes of tips and answers to viewer questions. I know I have asked myself a few of those questions before. Next is TED Talks. 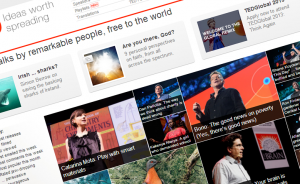 Ted is a wonderful podcast that is still in production where people from all over the globe give amazing talks about their experiences and provide you with groundbreaking research at no cost to you! My first choice is Reddit, these people are brutally honest and you can remain anonymous to protect your ideas. Okay, I know what you are thinking, “Reddit? Really? Isn’t that the website with cats and memes?” Well yes, but it is also the home to reddit.com/r/entrepreneur, a sub-community solely focused on helping other entrepreneurs be successful. Think of it as a forum to ask questions, get feedback and learn from other experiences. If Reddit not your thing, give Google+ Communities a try. It has a cleaner interface without all of the (cat) distractions. Also, Google+ Communities have multiple different pages around similar categories. So if one doesn’t work for you, there is an option to either create your own or try another one that suites your needs. The times are here, you can’t honestly run a business without some sort of online presence. That means you will have to buckle down and design logos, websites, etc. Two popular and prominent communities are Dribbble and Forrst. Personally, I use Forrst. Here you can post designs and get honest feedback on how you can do better. Starting out, you don’t need many friends because once you post, many people will see your content and provide you with feedback and tips. As for Dribbble the concept is similar, admittedly I haven’t had as much luck with feedback when starting out. Maybe you will, you can always use it as a way to gain inspiration and find out what others are coming up with for creations. There are many business websites out there, but one I really like is Fast Company. Fast company always has compelling articles, sections on leadership and design, and there is the always interesting 30 Second MBA. The 30 second MBA is a series of videos from different CEOs who talk about a business related topic 30 seconds! If you are looking to supplement yourself with more content just like Fast Company, try Inc or VentureBeat. Both are similar in content and appeal. I won’t get into too much detail here because depending on where you are from, the information may be different. 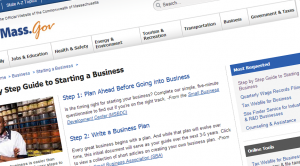 That said, I live in Massachusetts and I found this helpful how to start a business guide on my states website. I am sure if you look around, you will find something similar for your location. I was able to use this guide to find out how to get an LLC for my company Pixel Precise.